Get this 2 pack decals set to replace your side Old C.C. decals of your hull. made 40"x4 1/2"
Please select the correct craft decal color version you want. 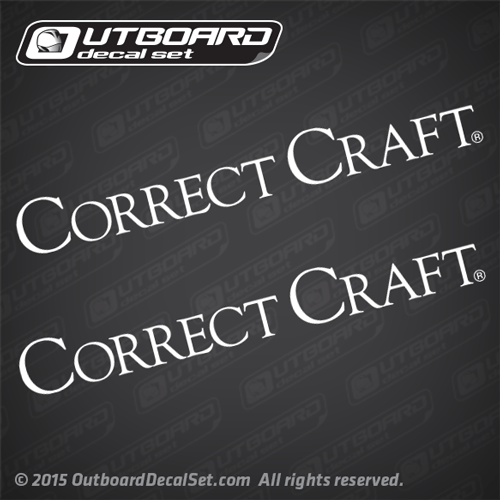 Our "Correct-Craft" decals are made at OEM specification and also at the most common versions available on most "Correct-Craft" boats, manufactured using marina grade vinyl, with UV protection that at the same time makes them resistant to mineral spirits, wax and some other cleaning fluids that may be corrosive on your daily basis boat maintenance.